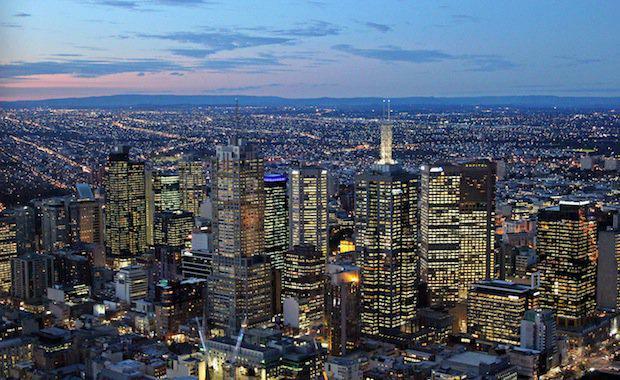 The strata office market is emerging as one of Melbourne’s hidden successes, with values lifting up to 30 per cent over the past 18 months, CBRE analysis has revealed. CBRE Melbourne Strata Projects Negotiator Tim Last said strata offices are currently yielding up to 8 per cent, which is prompting investors to buy office investments in a bid to capitalise on strong returns. In evidence of this, a private investor has recently sold two CBD strata offices at Level 10, 313 La Trobe Street and Level 5, 171 La Trobe Street. Both offices offered prime presence in the east end of Melbourne’s CBD and received strong interest from a range of local and offshore investor and owner occupier groups. CBRE’s Tim Last, Nick Lower and Tom Tuxworth negotiated both sales, with the sites transacting for more than $2 million each. The sales returned 20 per cent-30 per cent value increases within a three year period – an indication of the strengthening strata office market. Mr Tuxworth said the La Trobe Street sales were evidence of the lack of strata office supply within the Melbourne CBD, with buyers currently willing to pay premium prices to secure well located office spaces for both investment and occupation purposes. Recently, Mr Last has recognised a number of businesses purchasing strata office space within the Melbourne CBD, including the sale of 313 La Trobe Street which was acquired by a local law firm. “Owner occupiers are currently demonstrating a strong appetite for owning their own premises rather than paying high rentals,” Mr Last said. Investors are also looking to break into the strata office space, with the last three CBRE strata office sales in Melbourne being acquired by offshore and local investors. “Level 5, 140 Bourke Street; Level 7, 41 Exhibition Street and Level 13, 50 Market Street were all sold to local and international investors who were looking to cash in on the typical 7-8 per cent strata office yields, whilst diversifying their portfolios,” Mr Last said. With the rising investor and occupier demand for strata office spaces, developers are increasingly targeting this market sector for future expansion. "I previously have acquired residential sites in the CBD and saw this commercial asset as an ideal opportunity to diversity my property portfolio. "Mr Tuxworth said, “The Flinders Lane project has seen a huge success, with over 360 enquiries recorded over the past 12 months. The high buyer interest is indicative of the market demand for strategic and creative strata projects. "The low cost of debt and aggressive funding options offered by lenders, combined with the high uplift in values, is encouraging unprecedented levels of enquiry in the strata office market and fuelling a number of owners to cash in on investments. “CBRE’s Strata Projects team have had a record breaking first half to 2015, with over 26 transactions, a trend that is expected to continue throughout the second half 2015 and into 2016,” Mr Last said.